MTSU Out of the Blue: February..
Scott Austin’s parents disrupted his summer fun to take him to Murfreesboro. By his own admission, he didn’t appreciate it. Today, he appreciates it a great deal. 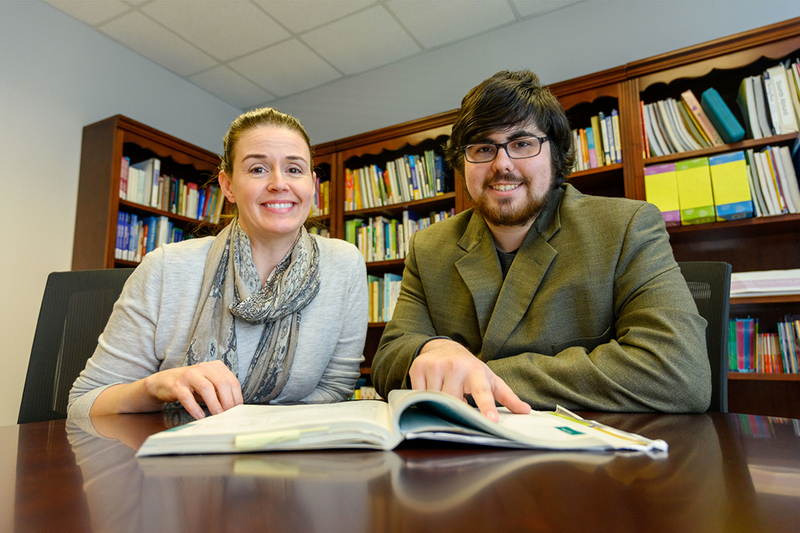 The now 21-year-old from Franklin, Tennessee, fielded oral questions from his parents with ease when he prepared for written exams in the K-12 grades. Then he bombed on the written exams. At the end of his middle school struggles, his parents took him to the Tennessee Center for the Study and Treatment of Dyslexia at MTSU. After a battery of evaluations, the center’s experts confirmed that Austin has a disorder that baffles and befuddles even the most enlightened educators. With the center’s confirmation, the Williamson County Schools system supported the analysis too, and Austin, now an MTSU junior, began participating in a special study hall. There he applied some of the techniques he had learned at the center, such as using a card or a ruler to help him focus on reading one sentence at a time. Jennifer Flipse, the center’s director, said it’s not uncommon for some dyslexics to go undetected for years, thanks to some youngsters acquiring a sight-word vocabulary that helps them to get by. Simply memorizing certain words isn’t sufficient, however, to unravel a language as complicated and quirky as English. “English … is a very confusing language, and there are so many … exceptions to rules that make it very hard for someone with dyslexia to truly understand English,” Austin said. Flipse said some students just give up by the time they reach high school. She said the center’s personnel were very gratified to hear about Austin’s success story. Initially, Austin aspired to become a nurse, but he realized that was not his calling. So he returned to MTSU as a student majoring in organizational communication in the Department of Communication Studies, a field that he believes could lead to a variety of careers, including human resources and public relations. For more information about services offered by the Tennessee Center for the Study and Treatment of Dyslexia in MTSU’s College of Education, contact the center at 615-494-8880 or dyslexia@mtsu.edu.